International travel can quickly turn into a frightening situation if you're not prepared for a medical emergency. Most travelers assume they will be covered by their standard medical plan, but that isn't always the case. While traditional plans may offer adequate domestic coverage, many are not designed for international travel. Without even realizing it, you may be putting your health at risk. 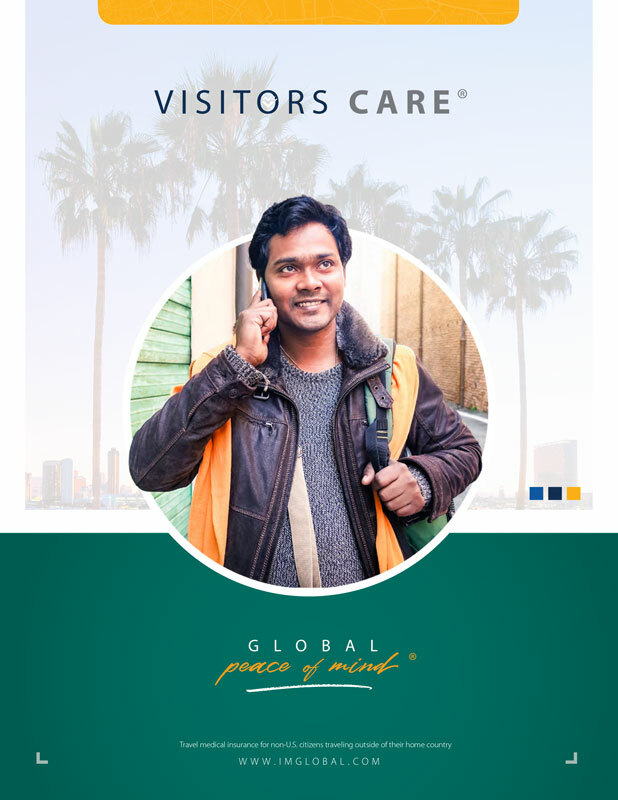 Visitors Care offers a broad package of scheduled benefits for individuals traveling and/or temporarily residing outside of their home country for a minimum of five days. There are nine separate options based on deductible levels and maximum limits. Simply select the option that best fits your needs.